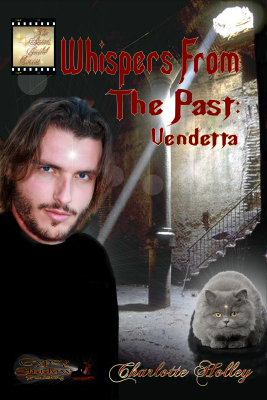 Whispers From the Past: Vendetta COMING SOON! Whoever said the past is dead and buried never knew the evil wizard Arvashan or his fiendish plan to avenge himself on those who caused all the trouble at the very beginning . . . Liz Carr and Kim Henson find they have only skimmed the surface when it comes to the mysteries of the past and their lingering affects on the present. They are about to learn their lives and those of John Carter and Mark Adams are hopelessly tangled with Arvashan’s in a way they could never have expected. The four friends, the local priest and the ineffable Benjamin McCann himself, have worked hard to return peace to McCann’s Manor, only to find each step forward has brought ever-increasing repercussions, leading them deeper into Arvashan’s diabolical schemes. Now the ancient sorcerer, infuriated by their success in freeing his captive souls, makes his demands, offering Liz an ultimatum she can never hope to accept or live with. Liz has a few weeks to set her affairs in order and return with Arvashan to the past and a fate she has no memory of, or Arvashan will kill everyone she loves. The situation calls for a level of cunning and skill the friends will somehow have to find within themselves, along with a mastery of magic greater than any they possess, before they can emerge victorious over the ancient nemesis. But there is more . . . much more . . . and they are running out of time . . .
Darkness . . . cold, unrelenting darkness so thick it nearly stole her breath from her was all Liz could perceive, though she strained into the blackness. The entity she knew as Ptarmigan had spoken to her of such a place, she recalled—a freezing, dark pit where no light penetrated. How had she come here, though? What sorcery was afoot that she should find herself banished to the depths of Ptarmigan’s prison? Or was the darkness, the cold, the feeling of isolation merely illusion? Surely she wasn’t alone in this place, she reasoned, though she could sense nothing to indicate the presence of anyone else. She fought to calm her racing heart, slowly drew in a breath and reached her hands out to feel the nothingness in front of her. “Hello?” she whispered. She forced herself to remain calm, even though the fear of the dark she thought she had pushed aside years before clamped down on her throat like a fist, threatening to choke off her oxygen. From where in her past did the all-encompassing panic she felt this moment arise? As a child, she remembered, she was desperately afraid of the darkness, but she had believed that dread was long behind her now. She stood staid and still, forcing a deep, ragged breath into her lungs. The darkness did not exclude the air, she told herself. Breathe! Just breathe . . . and be calm. 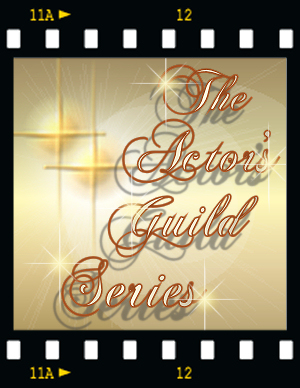 Scheduled for Release in 2012! 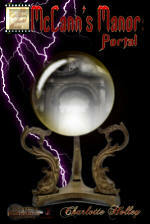 Click Below for a PREVIEW of Book Three!